Sport Chrono makes a 911 the best it can be. At $1,920 it may seem like nickel-and-dime for a car already pushing six figures, but we can't imagine a 911 without it. 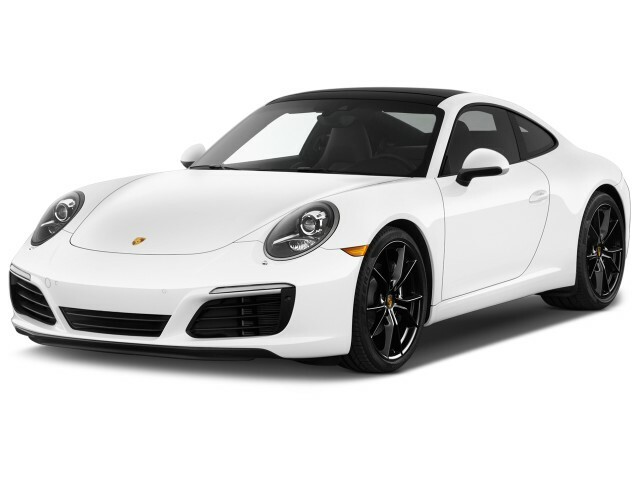 The 2017 Porsche 911 is a toe into the waters of modernity with a base turbo engine that gets good fuel economy. Don't be fooled; it's every bit the super car it always has been. The 2017 Porsche 911 marks one of the most significant changes for the sports car in recent history, but you may not know much by looking at it from the exterior. The same teardrop shape remains, same Coke-bottle curves. 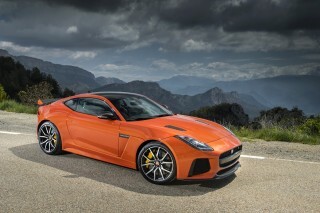 But under the hood (which is in the back, by the way) is a 3.0-liter turbocharged flat-6 as standard. Yup, there are turbo 911s, then there are turbo Turbo 911s. This year, the big news is the arrival of the 911 GTS. With its blacked-out look, extra power, and lowered suspension, it's a 911 Carrera S with everything you really want. The details on the 911 read wider and lower this time around. Horizontal elements outside the car help make the 911 look wider and meaner, punctuated by a new set of taillights borrowed from the incoming Panamera. The interior looks the same: classic, and great—in any color you like. The aforementioned engines are the headline. A turbo-6 is the base engine and produces 370 horsepower and can rocket the car up to 60 mph in 4.0 seconds. More potent 420-hp Carrera S models do the same sprint in 3.7 seconds, and Turbo S models—the mountaintop of 911 spec hunters—with 580 hp make the dash in 2.8 seconds. The new-for-2017 911 GTS slots in with a Goldilocks-like 450 hp with the suspension and brake upgrades to match. The base 911 is rated at 30 mpg highway and 25 mpg combined, which is impressive for a performance machine. Most 911 models hover around 20 mpg combined, including the 911 Turbo super cars. The engines are only half the story. The other half is told by the 911's amazing chassis and ride, its ability to shrink around the driver, and its stop on a dime. Of course, none of these things come cheaply, but even base models are more sports car than many mortals will ever approach. If we can offer some wisdom: all the power under the hood should be corralled by equally impressive brakes. Ceramic composite pinchers cost a pretty penny (nearly $9,000) but are a must for 911 owners with dreams of taking their car to the track. Confidence in the brake pedal is hard to put a price on, especially in a six-figure ride. The 911 is fit for a king, queen, or both, just not more than that please. The front seats are comfortable and supportive, able to take a long drive and soak up the miles. Even long-legged drivers will find enough room behind the wheel, assuming you take the rear seats at face value: they may as well be painted on. When folded down, the rear seats become an addendum to the 911's up-front storage "frunk," and two people for a weekend should have no problem hauling clothes and supplies. Like many sports cars and super cars, the 911 hasn't been evaluated by either major safety rating organization, so we can't predict much about its safety if worst comes to worst. The 911 has an exemplary set of airbags and it's very maneuverable—the first line of defense in avoiding a crash. A 911 options list reads like the SATs and takes at least as long. The car can be customized in myriad ways (probably literally) but there are a few options worth considering. Luxury buyers will likely ponder a premium package that adds comfort features such as heated seats. Performance buyers will likely consider the Sport Chrono package that taps the 911's true potential via programming. Beyond those two packages, the rest is gravy—we like the $530 body-color painted keyfob, personally. And then there are the leather-wrapped seat belt buckles. Really. The Porsche 911 manages to look good, and the same every year. For a slight refresh this year, Porsche added new boomerang "3-D" taillights and horizontal elements to make the 911 look wider. New rear hood inlets are perhaps the most significant exterior change over the last generation, which is saying something. We're well aware that the 911 has changed and evolved over time, so we're not accusing Porsche designers of being lazy. Line up generations of Porsches next to each other and it's plain to see—we've come a long way. We can't help but to look at the 918 Spyder, which wastes no inches on form—it's all functional—and think to ourselves: what would a 911 look like if it didn't have to look like a 911 first and foremost? The Porsche 911 is the benchmark many others are measured against, for a very good reason. The 2017 Porsche 911 lineup is broad and deep. From base sports cars to purist-type race machines, bonafide super cars to near-grand tourers, the 911 badge adorns a broad swath of cars that all share one thing in common: a heritage rooted in more physical challenges than a marathon of "Double Dare." The biggest change this year is that there are turbo 911s, then there are Turbo turbo 911s. What's new aboard the 911 is a twin-turbocharged, 3.0-liter flat-6, making 370 horsepower and 331 pound-feet of torque in Carrera models and 420 hp and 368 lb-ft in the Carrera S. It amounts to a 20-hp boost for both models—with peak torque now produced at just 1,700 rpm and continuing all the way to 5,500 rpm. Despite the downsized engines, both models have significantly improved performance for 2017; the Carrera can now reach 60 mph in 4.0 seconds with the 7-speed dual-clutch transmission (yes, a 7-speed manual remains standard)—or just 3.7 seconds with the PDK in the Carrera S. A new Sport Response button also aims for maximum performance and acceleration. 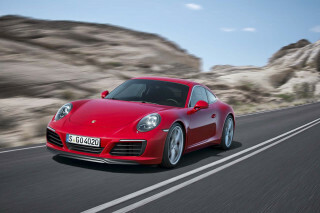 Top speed for the 911 is 191 mph in Carrera S form or 183 mph for the Carrera. Slotting above the Carrera S, the new-for-2017 911 GTS verges on automotive nirvana. Its suspension is taut but not stiff and it's adjustable at the press of a button. It adds 30 hp over the S to 450 hp; reduced sound deadening around the engine and a sports exhaust heighten the experience. 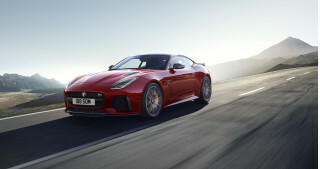 The GTS comes standard with the 7-speed manual and is available with the PDK. It's our choice for 911 thrills—unless you want to go absolutely crazy with the Turbo. Stepping up to the 911 Turbo and Turbo S models brings a similar bump in power over the last generation. The 911 Turbo is rated at 540 hp and the Turbo S makes 580 hp, albeit from different turbocharger setups this time around. All turbocharged 911 models (turbo and turbo Turbo, if you follow) benefit from a Porsche system that keeps the throttle valves open, even if you're not asking for the gas. 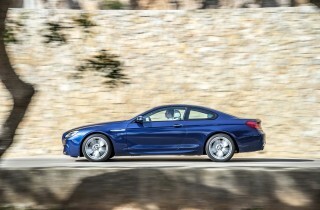 The air without fuel keeps 1 to 2 psi spinning in the turbos, which nearly eliminates lag when you're back on the gas. It's not true anti-lag, like what's found on old Formula One cars and rally cars, but it's just as good—and much more quiet. Much of our time so far has been spent in 911 Turbo and Turbo S models that are just as prolific in speed as they are in price. The super cars lunge off the line and don't give up until your courage gives out. Stability systems make the car more manageable than older generations (930, we're looking at you) but the current car is everything including scary. Active anti-roll bars keep the 911 flat through corners and build incredible lateral loads without giving up. The 20-inch Pirelli P Zeros on the Turbo and Turbo S models have grip all the way around, even on the sidewalls if you're rotating the 911 around you. The 911's steering and variable ratio is nicely weighted and smart with inputs. It's a natural feel, with directional changes that happen almost telepathically with speed. If we can offer some advice: Go to school with a 911. Learn how to drive the car at the limits with a trained professional. It took hot laps with a three-time LeMans winner for us to learn braking points in a 911, which were much later than we expected and not a conclusion we would have arrived at on our own. Ceramic composite brakes are optional on all 911s except for Turbo S models, where they're standard. The iron and steel rotors actually provide decent feel when they're up to temp, but the confidence that the ceramics instill are worth the $9,000 for anyone seriously looking to track their 911. And every 911 should be tracked at least once. Fit for a king, queen, or both—but not many more, please. In many ways the 2017 Porsche 911 embodies our idea of a livable sports car. Performance isn't compromised by its comfortable, its classic shape is instantly recognizable and still practical (mostly), and its edgy and frugal. Emphasis there on "sports car." With enough room for two, it shouldn't be on the top of any list of family cars, and its cargo storage is—at best—a little meager. From the front seats, the 911 can feel a bit more like a luxury sedan from the front seats. The seats are supportive and super-easy to get into. Base seats offer manual adjustment, while you can get added bolstering and four-way power, as well as 14-way power seats, and 18-way power seats with adjustable bolsters. The front trunk is deeper and more spacious than you might expect, but it's best suited to soft-sided luggage, and nothing too large. Enough space for a weekend for two, but that's about it. The cabin itself offers very little storage, with small door pockets and limited center-console space. Unoccupied rear seats make a great location to store extra items or additional baggage. The instrument cluster is classic Porsche, updated for the times. The 4.6-inch multi-function display is a nice touch, and is very bright and informative. Its tach takes center stage, and we wouldn't have it any other way. Throughout the 911 lineup, perhaps what separates it from other cars in this performance realm is that its ride is settled and refined, and its cabin is quiet enough for long highway trips. Jittery rides and the din of road noise are mostly absent from the entire lineup—although in some of its versions, you definitely hear the engine. 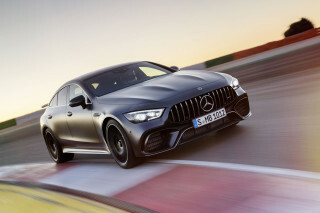 The GTS, in particular, offers the most audible thrills thanks to its reduced sound deadening (for the experience, not to save weight, Porsche tells us). No official crash data keeps it from getting a score from us, but maneuverability is the first—and very important—safety feature. The 2017 Porsche 911 hasn't been crash tested by any official any major safety rating agency, nor will it be any time soon. In fact, no Porsche has been crashed by federal testers or the IIHS—and while we could debate that logic—so we're somewhat in the dark. There's good news: The latest 911 packs a complement of standard and available electronic safety features to help assuage worried shoppers. Porsche Side Impact Protection includes thorax airbags, an upward-inflating airbag in the door panel, and reinforcements in the doors to help minimize injury in a side-impact situation. Porsche also includes stability and traction control systems that corral the rear-engined sportscar in ways that we can't imagine humans ever duplicating. 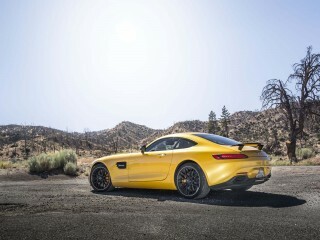 They're integral to the driving experience and don't preclude fun, which is our favorite part. All PDK-equipped models include a standard adaptive cruise control system, which uses front-looking radar to maintain distance from traffic. Even when the cruise control is not in use, the radar can spot road obstacles or other hazards and prime the braking system to improve stopping distances. Porsche product planning is the 9th wonder of the world. If you haven't looked at a 911 order sheet in a while, pack a lunch. Porsche offers a dizzying array of customization options, including custom-colored exterior paint, custom-colored leather upholstery, brushed aluminum everything, and on and on. As standard, the nearly $90,000 base 911 comes with an impressive array of features including rain-sensing wipers, power adjustable front sport seats, integrated instrument cluster with 4.6-inch multifunction display, 6.5-inch touchscreen with Apple CarPlay, navigation, Bluetooth connectivity, an 8-speaker stereo, rearview camera, Alcantara roof lining, and xenon headlights. The first decision for many buyers will be whether to add a popular Premium Package that adds heated seats, adaptive lighting, and 14-way power front seats. 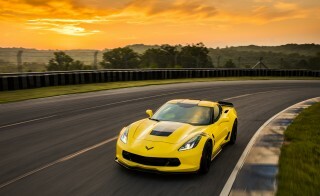 Variations of that package can add ventilation, LED headlights, and keyless ignition. Sport-minded buyers may first consider Porsche's Sport Chrono package that adds a drive mode selector taken from the 918 Spyder, dynamic engine mounts, launch control (automatic transmission only), rev-matching downshifts (manual transmission only), and Porsche's sport-focused stability management software. At $1,920 extra, it's not cheap, but it's really the best way for the 911 to realize its potential. The carbon fiber fairy will touch just about any surface for a fee no less than $695—same goes for brushed aluminum. Nearly everything can be uniquely configured in a 911, right down to leather air vents. If we might suggest some practical and/or fun ideas? The optional front axle lift system can help save a nose or two on aggressively sloped driveways, $8,520 ceramic composite brakes are a must for drivers looking to track their cars for any extended period of time (especially 911 Turbos). Despite a classic look, the Porsche 911 manages modern fuel-economy ratings. For a two-seater sports car with superlative performance, the Porsche 911 is relatively fuel efficient. For 2017, the base 911 with its new 3.0-liter flat-6 and automatic transmission is the most efficient, the EPA rates it at 22 mpg city, 30 highway, 25 combined. Sticking with the manual nets 20/29/23 mpg. From there, mileage varies based on power and roof configuration. The Carrera Cabriolet is rated nearly the same as coupe models, same goes for Carrera S models. The 911 Turbo models, with their prodigious 540 horsepower 3.8-liter flat-6 engines, are rated at 19/24/21 mpg, which is a 2 mpg improvement in the city cycle over last year. Turbo and Turbo S models are equipped only with a 7-speed automatic transmission. Compared to the Chevrolet Corvette, the 911 more than holds its own. 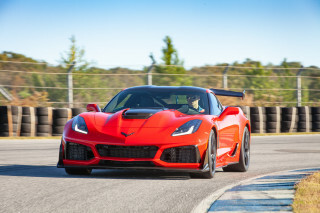 The Chevy is rated at 15/26/19 mpg with an 8-speed automatic. 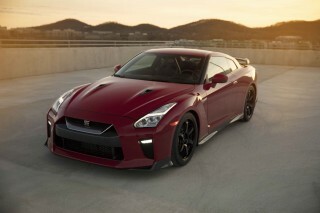 The 565-horsepower Nissan GT-R is rated at 16/22/18 mpg.